A cadet recruit carries his gear. While the spring semester didn't officially start until Jan. 8 at the University of North Georgia (UNG), nearly 300 cadet leaders, incoming freshmen recruits and new cadet officers returned to UNG’s Dahlonega Campus a week early for training. Before the beginning of fall and spring semesters, UNG's Corps of Cadets holds a Non-commissioned Officers Academy (NCOA) for sophomore cadets entering leadership positions within the corps and Freshman Recruit Orientation Group (FROG) training for incoming students. 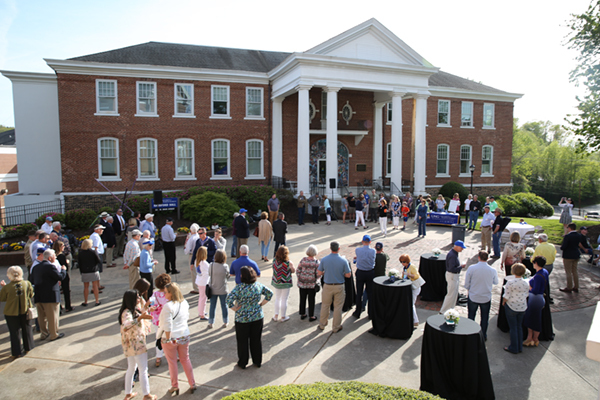 Due to the compressed schedule for the spring semester, FROG Week and NCOA were held simultaneously. 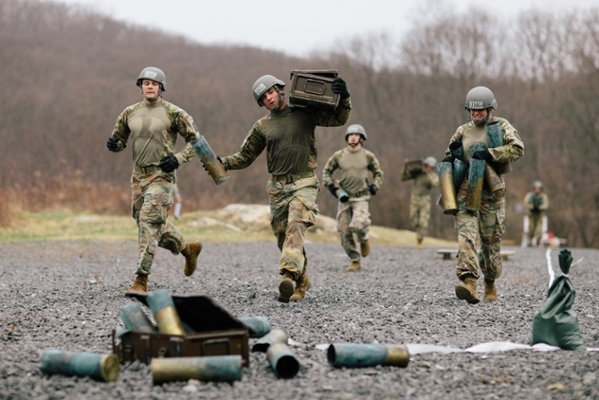 For the recruits, the week of training traditionally called FROG Week stresses the importance that UNG's Corps of Cadets places on leadership development. The purpose of FROG Week is to teach Corps rules and standards, and university customs and traditions. As with orientation events held for all students, recruits learn about academics, class locations and student resources. Among the 69 recruits this semester is Hannah Yancey, a freshman from Loganville, Georgia, who entered UNG in fall 2017. Yancey said after seeing members of the Corps of Cadets on campus and learning more about the program, she was interested in joining. "I thought about it a lot, and I felt like if I didn't do it, it would bug me. So I did it, and here I am. It's intense, and I'm just trying to learn everything," Yancey said. "I want to be a physical therapist in the Army, and I think the Corps of Cadets would give me an advantage." The severe cold the first week of January – with overnight temperatures in the teens – caused some changes to the training schedule, including the cancellation of rappelling at the Army Ranger training facility at nearby Camp Frank D. Merrill. That activity was moved on campus, said retired Maj. Richard Neikirk, the assistant commandant of cadets at UNG. Also, the Crown Mountain run traditionally held the morning of FROG graduation will be held at a later date. It's not just the weather that makes FROG Week in spring semester different from fall. In recent years the training week was added before spring semester as the number of cadets enrolling in spring has steadily grown each year. 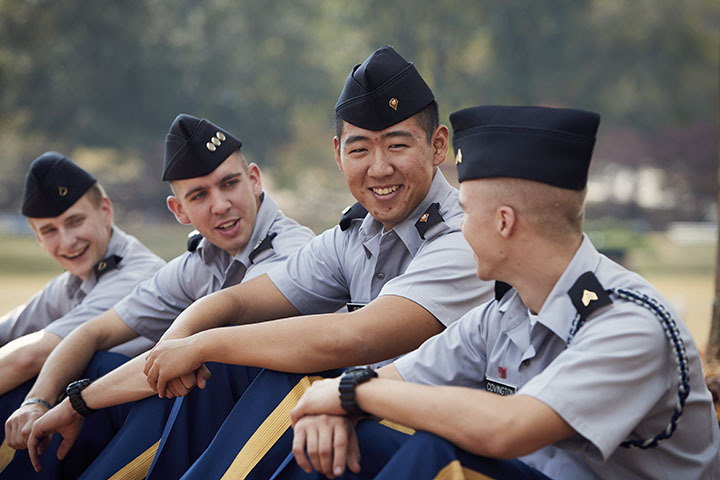 Many freshman cadets at UNG choose to start their college career in spring after attending Basic Training or Advanced Individual Training as members of the U.S. Army Reserve or Georgia National Guard. This year, 42 incoming freshmen are members of the Georgia National Guard, and 24 of those are attending on the UNG Military Scholarship, a full-tuition scholarship worth $70,000 over four years. This semester's NCOA of 89 cadets featured a first – two cadets from the General Tadeusz Kościuszko Military Academy of Land Forces (MALF) in Poland. It's the first visit to the U.S. for the two cadet sergeants, who are in their junior year. After a lengthy trip, during which they only slept a couple of hours in two days, Tomas Trzak and Mateusz (Matthew) Wolski hope to gain insight on leadership from their semester at UNG. 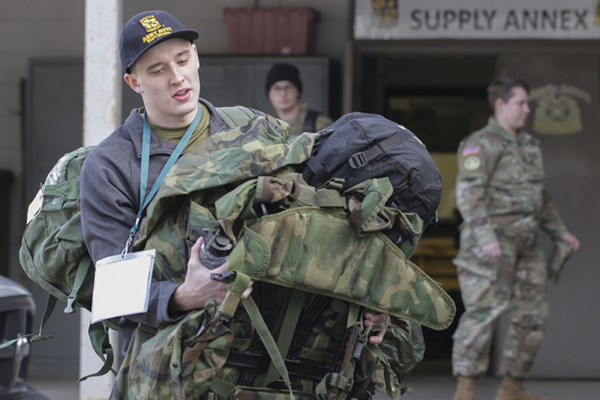 "The most important thing for me is to get experience in leadership here," said Trzak, who will go into the Polish army armored vehicle division upon graduation. 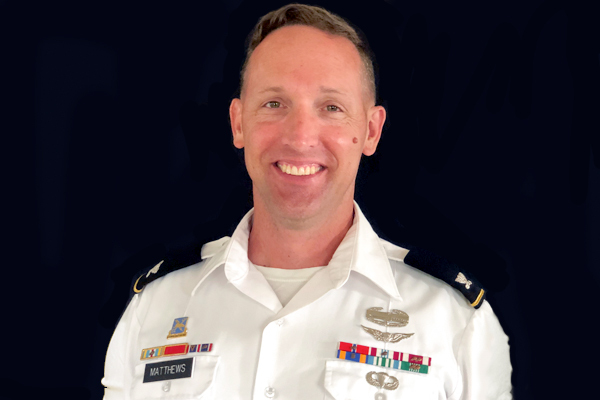 "Everything about the military that is important for me I will have in my academy, but your academy is very proud of having expertise in leadership and the skills connected with commanding, so I think spending time here will give me the ability to increase those skills." Wolski, who will go into air defense when he completes his studies, concurred. "For me, it is also very significant to understand your management and your leadership because I want to be a leader in the future, so it's very important to me to learn another style with my friends from the United States," Wolski said.